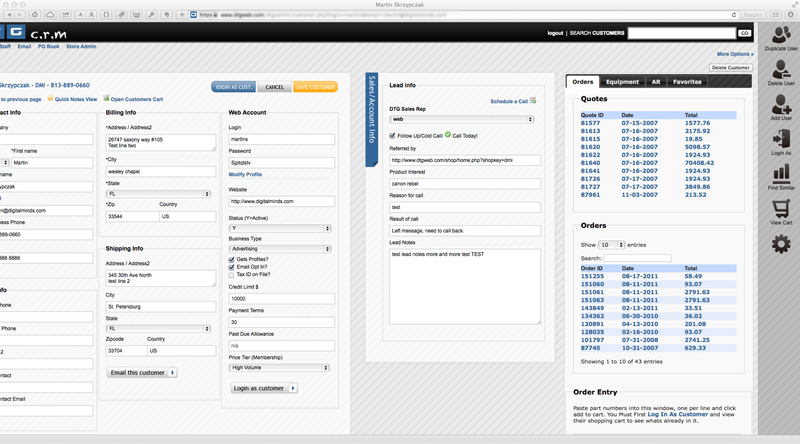 Custom CRM system Integrated with On-Line Store and Shopping Cart. Features: Contact Management, Lead Conversion, Order History, Tracking Numbers, Advanced Search by Purchased Products, owned products, Power Search via Sql statement, Web based Interface, PO Book, Back up email system toggle, Blog Management, and much more. 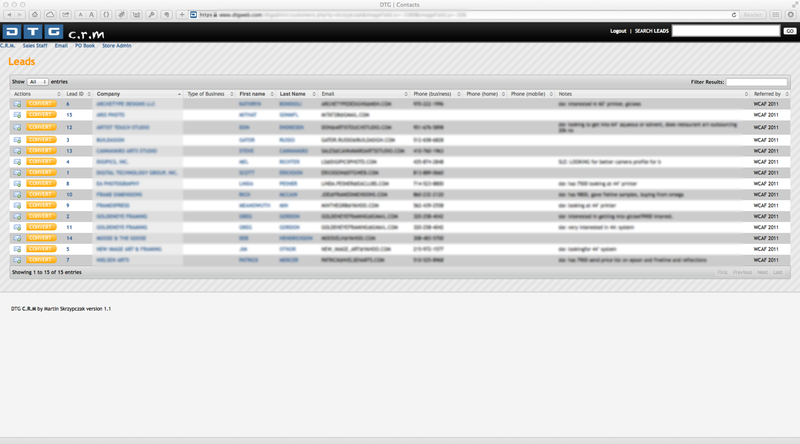 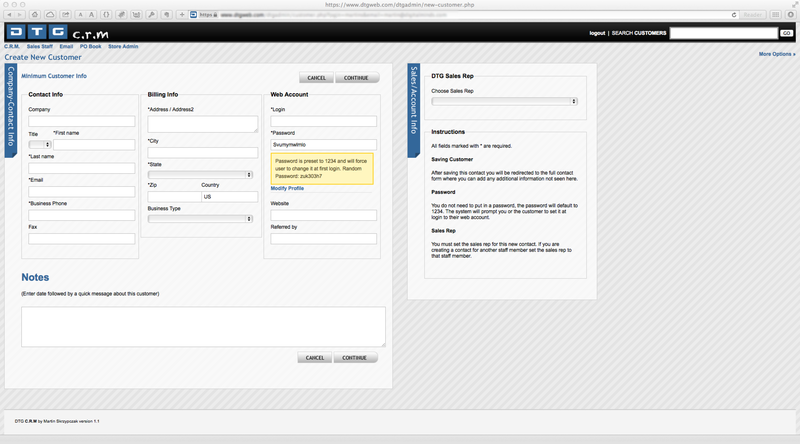 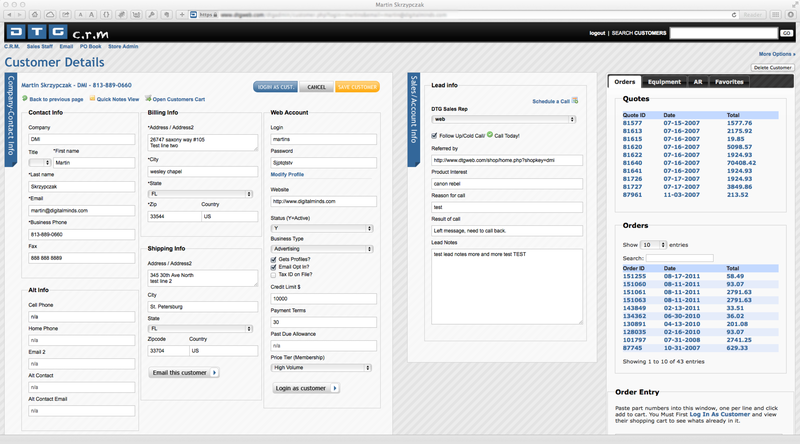 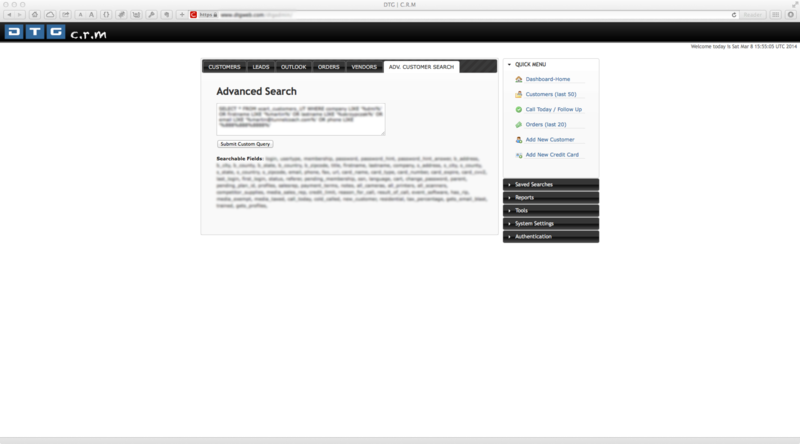 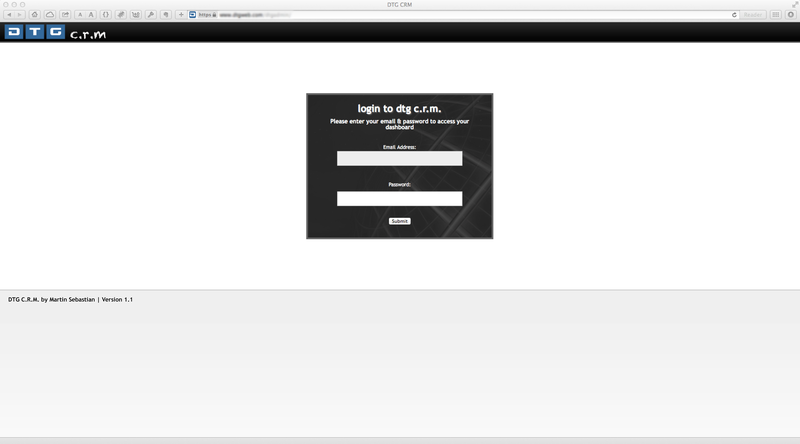 Custom CRM System I build using PHP and MySql inluding: HTML, CSS, jQuery, jQuery UI, Blueprint CSS, and Yahoo Grids. This system was inegrated with Ingram Micro for Stock Lookup, Chooing the closest warehouse, and sending drop ship information to Ingram Micro for fulfilment. 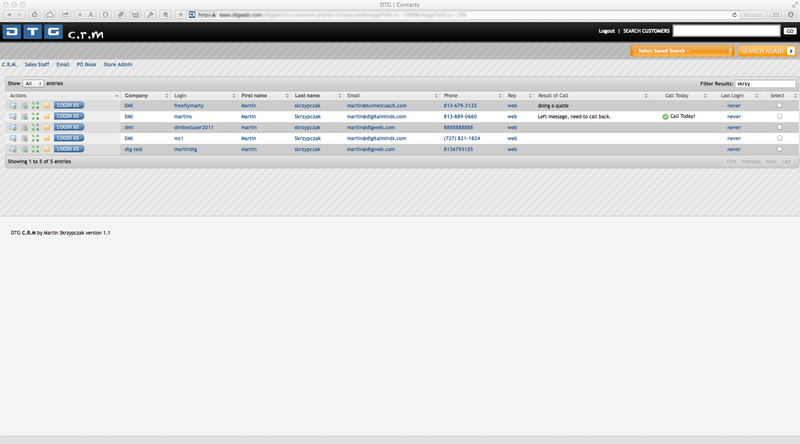 The system also Integrated with FedEX to alow for real time tracking lookup. 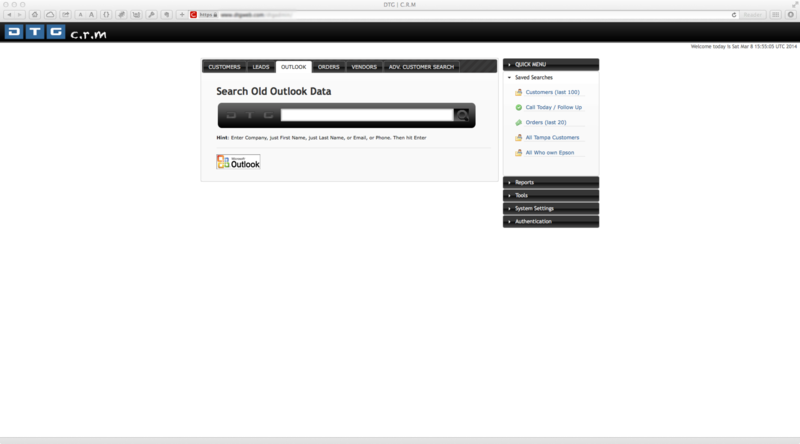 Other integrations: Zimbra Email and Calendar system, Xcart, Microsoft Exchange contacts. 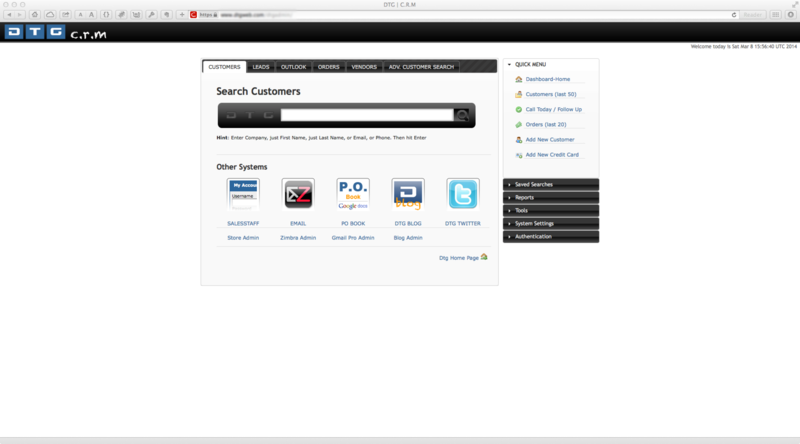 and compnay website to allow customers to update their profiles, order products and choose a Ingram Micro warehouse closest to their location. 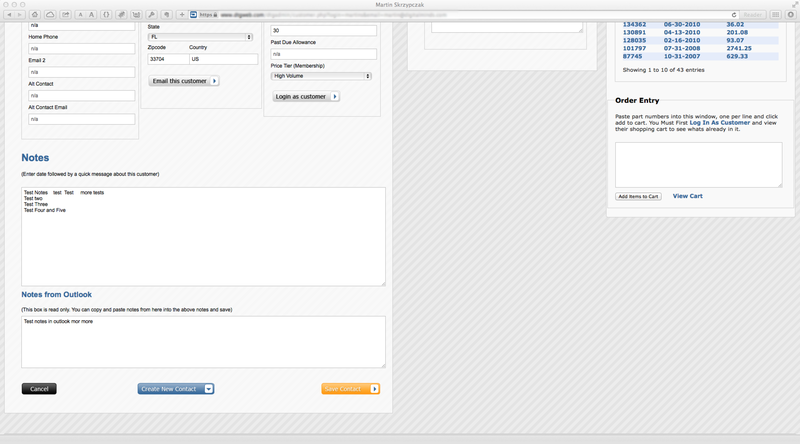 Espon MAP Pricing Moi, and Mail Chimp for sending mass emails.